Project Description: Global change includes a wide range of environmental (physical and chemical) changes and is occurring faster than our ability to predict it’s consequences (Kroeker, Kordas & Harley 2017). 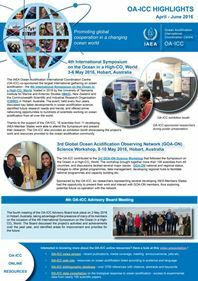 Much work has been done since it was first observed that the oceans were acidifying (Doney et al. 2009; Feely, Doney & Cooley 2009), however, the diversity of responses among species to date prevents clear predictions about the impact of acidification at the ecosystem level (Kroeker et al. 2011). 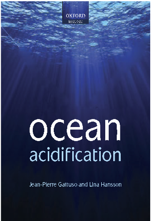 The first generation of ocean acidification experiments focused on the physiological responses of individual organisms, usually calcified organisms because those were assumed to be most vulnerable (Widdicombe & Spicer 2008; Melzner et al. 2009; Dupont, Ortega-Martinez & Thorndyke 2010). These were followed by a wave of studies that also attempted to include wider community level responses and various proxies for ecosystem functioning (Hale et al. 2011; Russell et al. 2012; Murray et al. 2013; Queiros et al. 2015; Sunday et al. 2017). More recently, the factors that currently limit our understanding have been identified based on our knowledge that CO2 driven environmental change comprises a suite of stressors with different, sometime opposing, patterns of occurrence and effects of species (Kroeker, Kordas & Harley 2017). The interactions between ocean acidification (OA) and other natural or anthropogenic pressures can result in positive or negative net effects (Boyd & Hutchins 2012), which can determine individual species responses (Breitburg et al. 2015; Kroeker et al. 2016). Context is, therefore, critical for forecasting the ecological effects of OA and it is recommended that future studies should span a wide range of conditions to accurately interpret empirical results (Kroeker, Kordas & Harley 2017). Furthermore, the combined effects of multiple stressors on individual species can be mediated by their interactions with other species in an ecosystem (Alsterberg et al. 2013). It is, thus, imperative that the next generation of OA studies include diverse, functioning ecosystems that incorporate species interactions and compensatory dynamics (Kroeker, Kordas & Harley 2017). The aim of this PhD project is to test the vulnerability (survival, growth, condition and ecological functioning) of bivalves to variability in ocean chemistry and other environmental stressors (e.g. warming and nutrient enrichment). We will use the combined approach of surveying populations of bivalves across environmental gradients in Ireland and, based on these and all available data, we will design experiments to mimic a range environmental conditions using new custom-built mesocosms to quantify bivalve performance and their associated physiological and ecological processes under these experimental treatments. This PhD will be based at Trinity College Dublin and supervised by Dr Nessa O’Connor (Trinity College Dublin), Dr Evin McGovern (Marine Institute), Dr Francis O’Beirn (Marine Institute) and Dr Carlos Rocha (Trinity College Dublin). It is expected that that interviews will take place in mid-January. The PhD start date is 1st March 2019. You must have a full, clean driving license, be willing and able to work independently and as part of a team and have a positive attitude. The successful candidate will hold an Honours Degree (2.1 or higher) in a cognate discipline (e.g. Zoology, Environmental Science, Marine Biology). An MSc or equivalent experience would be an advantage. Other highly desirable skills include previous experience of working with mesocosms and/or experiments in the field, a good knowledge of R, and a demonstrated ability to communicate research findings.